Soothing bath with tasting. Enjoy relaxing in our spa and get a good comfort. Unique experience enhanced by a sensual massage. 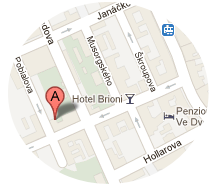 We offer a wide range of massages and directly in Ostrava Stodolni. Enjoy a unique experience in the wine room. Relax and soak up the atmosphere of the wine. Enjoy a unique experience and an exotic oriental massage. Come sweat out the new luxury sauna in our spa. This option is offered to any service. Experience a new sensation in sweet massage with chocolate or honey flavor. To fully enjoy your evening? Take advantage of our modern accommodation. Come to relax one of the best massages in Ostrava. Be fit and have a happy life.